Looking for a watch that is functional, beautiful, and unique? Well, it's PERFECT TIMING! A silver bezel frames the bold white watch face. The wide, stretch-to-fit bracelet is a tapestry woven of countless genuine amethyst nuggets. 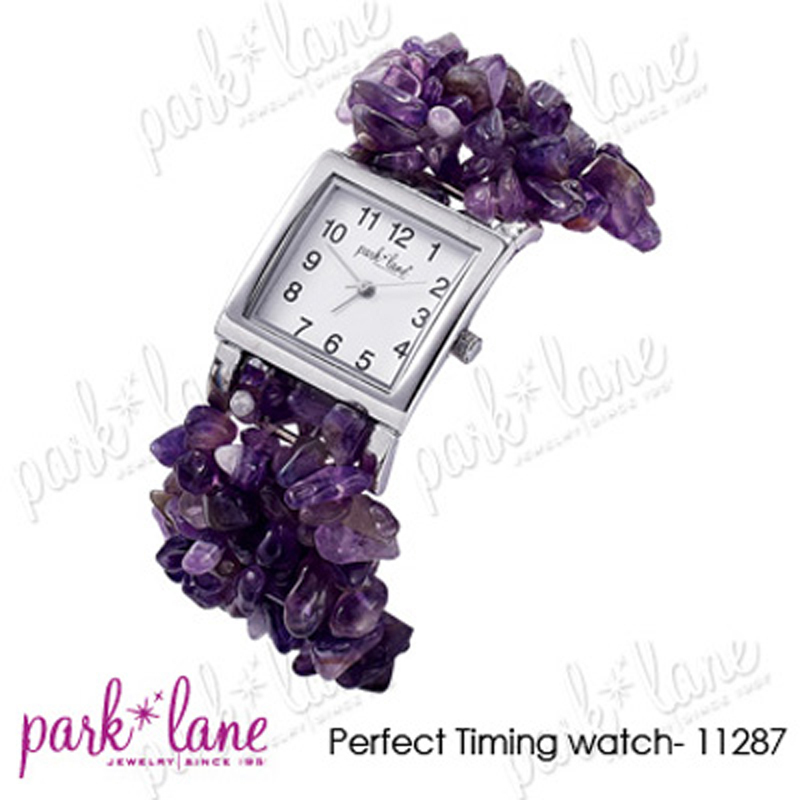 For Park Lane hostesses only, this exquisite timepiece is available at a tremendously discounted price. Isn't this PERFECT TIMING? Watch adjusts to the wrist. Beautifully worn with anything, but especially flatters other amethyst jewelry and any purple or lavender accessories. Try it with Rock On, Lilac, Signature-amethyst, Zoey, Starry Nights, Lily, Orchid, Le Petite, Casablanca, Love Story.